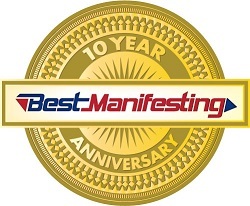 Best Manifesting will react to changes in the market to maintain efficiency and provide you the shipping tools you need to excel in order fulfillment with our USPS eVS™ Certified Product and Multi Rate Carrier Best Ship™ software. Best Manifesting provides set up and training for all the necessary documentation and file transfers for a wide range of services along with numerous options for a streamlined shipping process. USPS eVS®, IMpb®, Mail.dat®, and CASS® Certified. UPS and FedEx Shipping API. Custom development of your shipping station. With a scalable product and proven integration we can configure your software to your exact specifications. Rate Shopping to allow for best way service class selection. Best Ship™ will allow for Rate Shopping of USPS, UPS, Fed Ex, and 3rd Party Carriers. Customized Confirmation Services with thresholds to maximize your time. With the Best Ship™ User Interface packages, your company will have services added based on Dollar Amount or Key Words on the fly. We work with clients that qualify for standard mail nonprofit rates and Best Ship™ has been providing a streamlined solution and providing all necessary documentation and file transfers. We work with As Seen On TV companies that we integrate a Product to Weight Table to offer Batch Processing. If you can supply an accurate weight to Best Ship™ we can automate your processing in our Batch Mode. Contact us anytime to discuss how the Best Ship product can work for you. Electronic transfer of data will eliminate the need for paper permit imprint manifesting. Automation Rate and Full Service Discount Available. Best Ship can perform Destination Entry for additional postage discount when volume and transportation requirements are established by the mailer. Companies that can provide an accurate predetermined weight in their data will allow Best Ship to process all packages in Batch Mode and print your labels in the required sortation per facility or sortation requirements. This process allows for minimal time and effort to properly sort and label your USPS containers for acceptance. The Best Ship Zone Skip™ screen gives your company the ability to view and print Intelligent Mail Sack and Pallet tags for your presort destination entry or 3/5digit along with ADC sortation. Best Ship will add a “Sortation Notation” to each of your labels to assist in the required sortation to the proper facility.